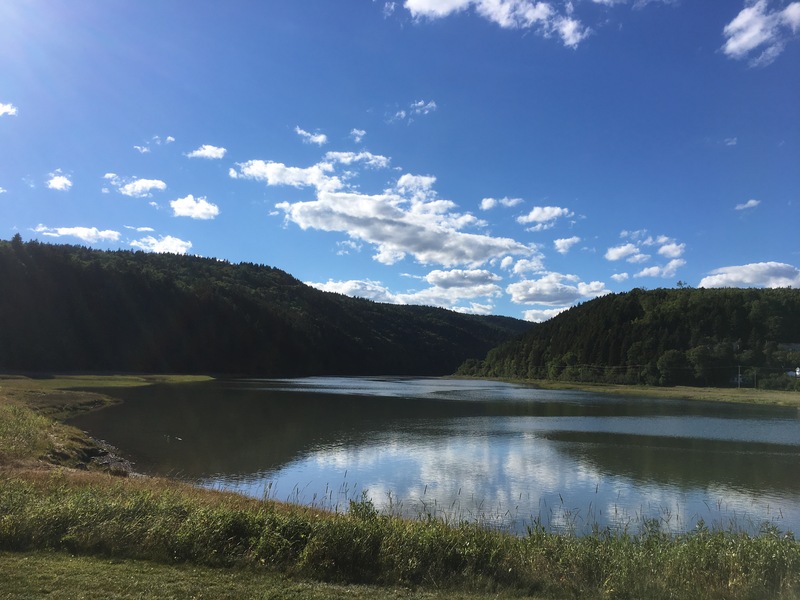 As the month of July progressed in Southeast New Brunswick, lawns turned brown and forests became extremely dry as temperatures soared and little rain fell. Greater Moncton only received one-third of its normal monthly rainfall and 15 days had no precipitation at all. The heat was steady throughout July with 20 days reaching 25 C or higher and four days climbing to 30 C or more. A brief cool down near month end lowered daytime highs to the low 20s Celsius and brought a chilly overnight low of 6.9 C.
Environment Canada issued heat warnings for most of Alberta along with parts of Saskatchewan and Manitoba this week in the wake of sizzling high temperatures. The weather office says a daytime maximum of 30 C or higher could pose an elevated risk of heat-related illnesses and residents should avoid outdoor activities until cooler hours of the day. Temperatures could climb to 33 C as far north as Thompson and almost 30 C in Churchill along the Hudson Bay coast. Forecasters say the extreme heat will continue this weekend but a slight cool down is expected early next week. Dry July in Southeast N.B. 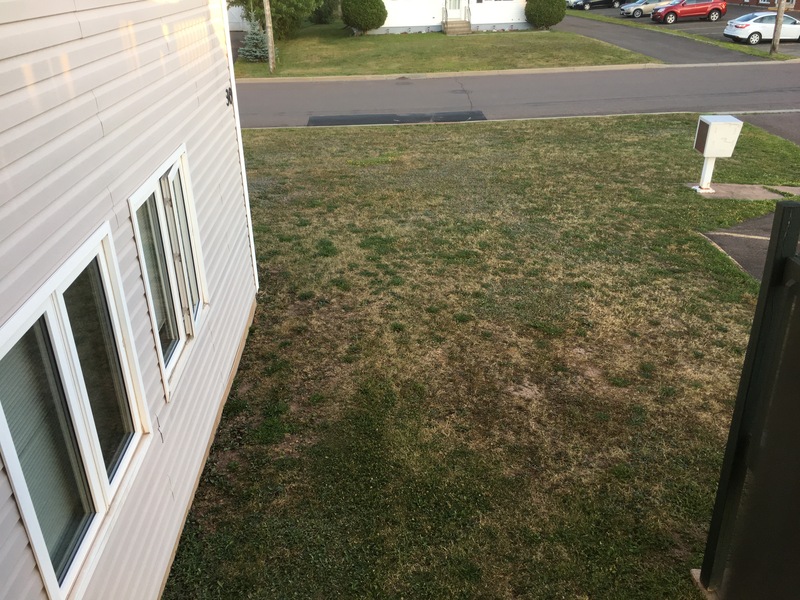 Lawns are turning brown and gardens are thirsty in Southeast New Brunswick given the light amount of precipitation recorded so far this month. 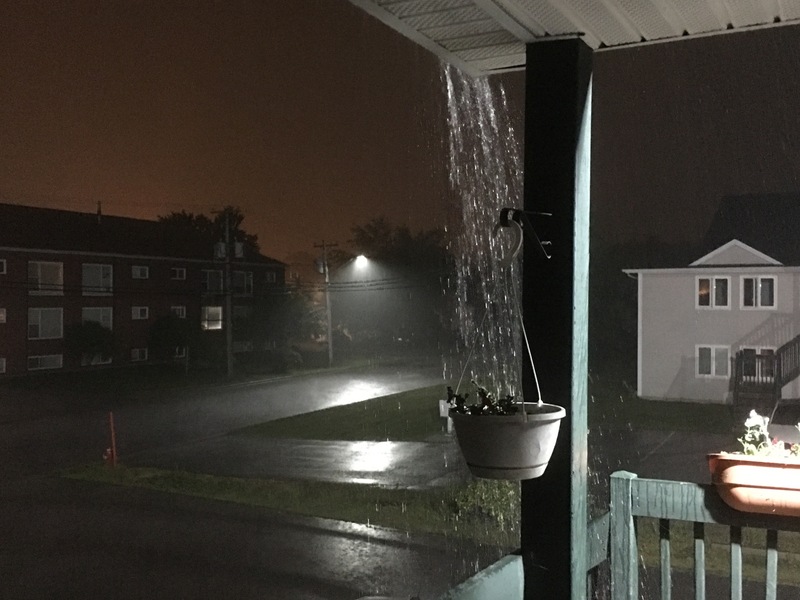 Environment Canada says 29.8 mm of rain has fallen this July in Greater Moncton compared to an average of 92.1 mm – just under one-third of normal. No significant rainfall is expected before the end of the month. By contrast, parts of neighbouring Nova Scotia have been much wetter than normal with 135 mm to date at Halifax Stanfield Airport. Late July is typically the warmest period of summer in Greater Moncton but a recent cool down has brought September-like days and a record overnight low. 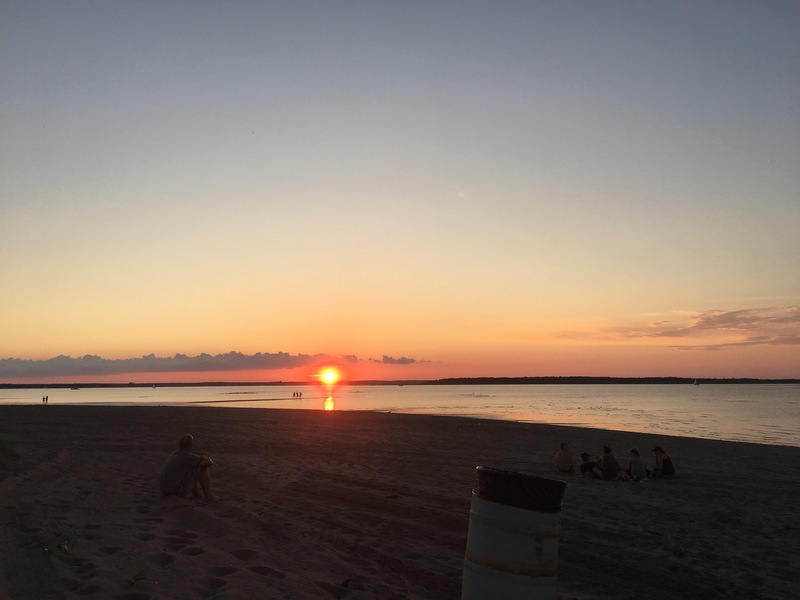 On 23 July, the temperature fell to 6.9 C at the Greater Moncton International Airport which broke a record low of 7.2 C from 1962. A frost advisory was posted in northwest New Brunswick with a chilly low of 2.4 C in Edmundston. The short term forecast calls for more seasonal highs in the mid-20’s C and lows near 13 C.
Heat wave abruptly ends in N.B. The temperature climbed to 30 C for three days in a row in Greater Moncton which is an unofficial heat wave since 32 C is the maximum by definition. Those warm daytime highs, 30.4 C (19 July), 30.4 C (20 July) and 30.0 C (21 July), still haven’t eclipsed the season-to-date maximum of 30.8 C recorded on 11 June. 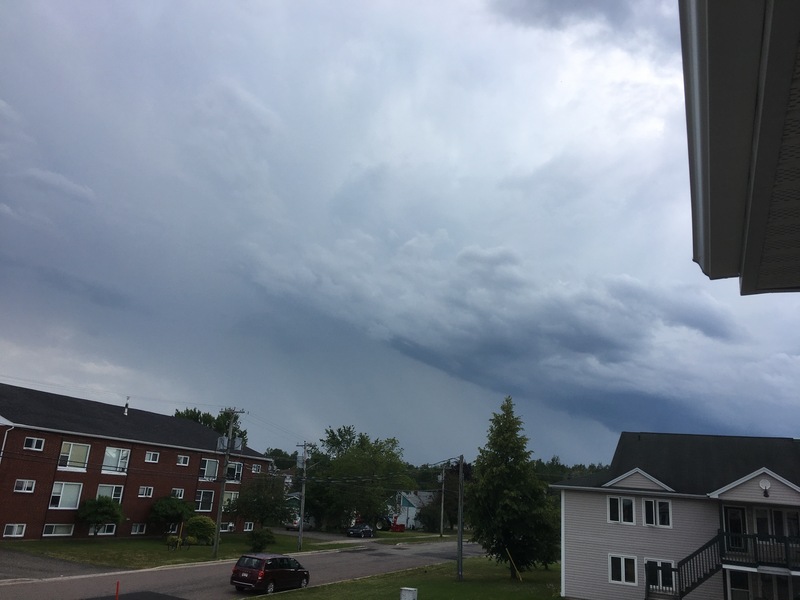 A cold front moved west to east through New Brunswick yesterday triggering scattered thunderstorms with heavy rain, gusty winds and even hail. The heat and humidity have been replaced by a cooler, drier air mass with highs in the low 20’s C which is slightly below normal for late July. For whatever reason, summer seems to go by faster than the other seasons and here we are already at the midway point of July. After 16 days, Greater Moncton has been having a decent month with an average temperature of 19.3 C which is 0.5 degrees above normal. Daytime highs have been warm but not hot with a peak of 29.4 C on 16 July while overnight lows have been mild except for a chilly low of 8.9 C on 05 July. The only concern is a lack of rainfall. The tally is 19.8 mm so far – less than a quarter of the monthly total – but keep in mind we are entering what is traditionally the driest period of the year in Southeast New Brunswick. More than 300 firefighters from across Canada including New Brunswick are now in British Columbia to relieve those already on the ground battling over 180 wildfires. Some progress has been made thanks to recent cooler weather but 14,000 residents have been evacuated and thousands more are on alert to leave their homes at short notice. Forecasters say gusty winds expected this weekend could fan the flames even further and the heat is also expected to return. The economy of the B.C. Interior is taking a hit this summer with many campgrounds and provincial parks forced to close due to the wildfires and related road closures. A state of emergency is in place across British Columbia which gives government special authority over more than 230 wildfires. B.C. wildfire officials say weeks of hot, dry weather combined with strong winds and dry lightning have led to almost 16,000 hectares being burned so far. 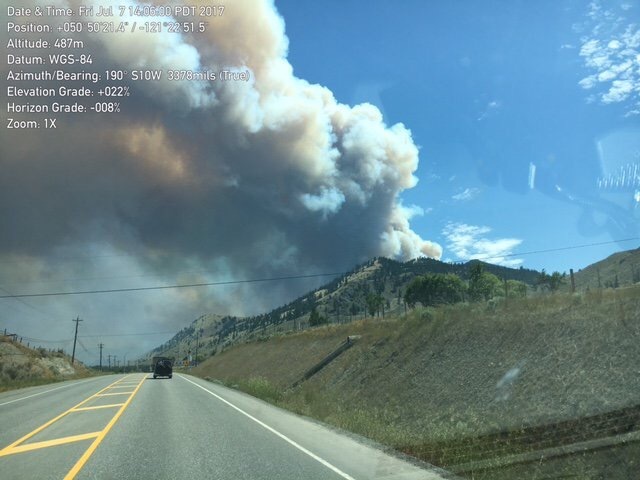 More than 7,000 residents in the Interior and Cariboo regions have been evacuated from communities like Cache Creek, Princeton, Ashcroft and 100 Mile House to be housed in Kamloops. Temperatures remain hot in these areas this weekend soaring above 30 C.
A strong ridge of high pressure over Western Canada has pushed the thermometer into record high territory for British Columbia and Alberta. On 07 July, dozens of communities set new maximum temperatures with the highest at 39.4 C in Warfield and 38.3 C in Nelson but the hot spot in Canada was Garden River in northern Alberta at 40.3 C.
The major cities were warm too with Calgary reaching 33 C and Edmonton 30 C.
Heat warnings have been issued for most of Alberta and parts of Saskatchewan where temperatures will be near 29 C or higher for the next few days and residents are urged to take precautions.